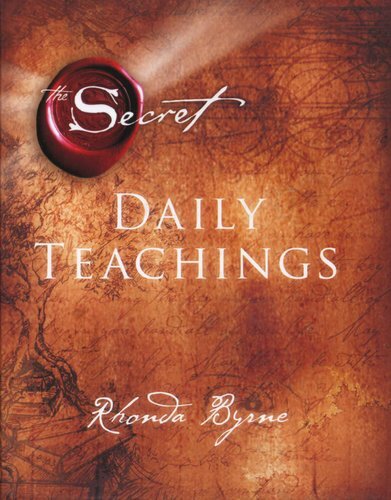 Take the next step with The Secret Daily Teachings - the much-loved companion guide for living The Secret day by day is now available in a new hardcover format. 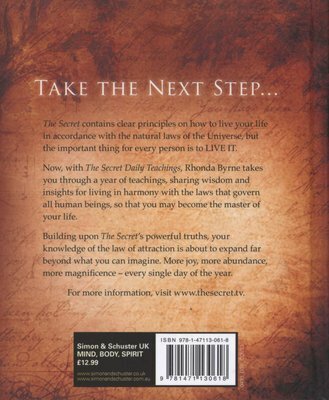 The Secret contains clear principles on how to live your life in accordance with the natural laws of the Universe, but the important thing for every person is to LIVE IT. Now, with The Secret Daily Teachings, Rhonda Byrne takes you through a year of teachings, sharing wisdom and insights for living in harmony with the laws that govern all human beings, so that you may become the master of your life. Building upon The Secret's powerful truths, your knowledge of the law of attraction is about to expand far beyond what you can imagine. More joy, more abundance, more magnificence - every single day of the year.